Nestled away on the slopes of Mt. Bugaksan in the exceptionally relaxing Buam-dong district, the Baeksasil Valley – literally, the “valley of mountains surrounded by streams” – is where you go to get away from Seoul … without actually leaving the city. In the days of the Joseon Dynasty (1392-1910), this area, a scenic pass through Seoul’s guardian mountains, was a favorite leisure spot of the aristocracy, who erected luxurious villas in the hills. After experiencing the views, fresh air and tranquility, you’ll understand why. The hike into the valley will take you through thick forests, past beautiful mountain streams and through almost bucolic hillside communities. You’ll also see a Buddhist temple or two and the ruins of an old villa and pleasure pond. There’s a fair amount of wildlife up here, including salamanders, frogs, minnows and crayfish. Wild boars sometimes make an appearance, too – be sure to keep an eye out. SEE> Okcheonam Hermitage has a lovely rock-carved relief of the Buddha dating from the Goryeo era (918-1392). Painted seashell white, the carving was, oddly enough, a favorite picnic spot of Westerners living in Seoul in the early 20th century. EAT> There are lots of good places in the area to get stuffed. One of the highlights is Jaha Sonmandu (T. 02-379-2648), which specializes in handmade dumplings. A couple of eateries, such as Sai (T. 02-395-4242) and Gyeyeolsa (T. 02-391-3566), have made a name for themselves doing old-school fried chicken. For coffee, Sanmotungi (T. 02-391-4737) is the neighborhood’s better-known café thanks to its jaw-dropping views of the surrounding mountains and its appearance on a popular Korean soap opera. GO> Take bus Nos. 4-5 or 740 and get off at Banpo Hangang Park. 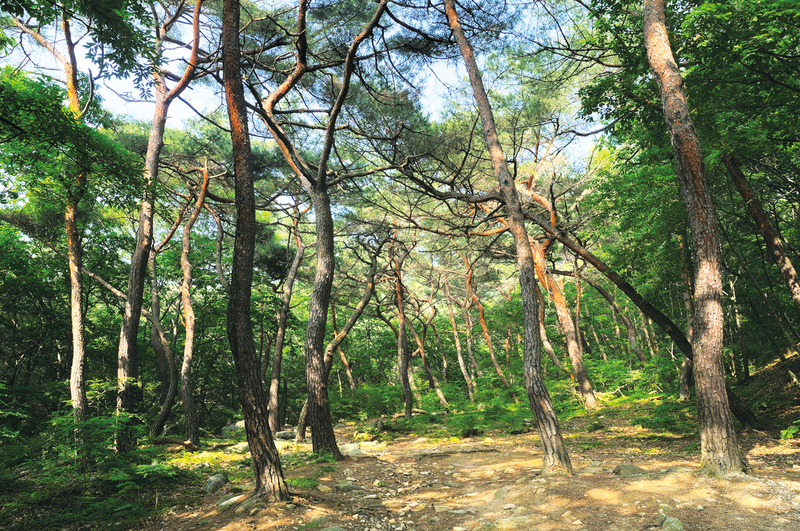 Bukhansan National Park has plenty of scenic valleys, but two of the most pleasant are the Samcheonsa and Jingwansa valleys on the western side of the mountain. 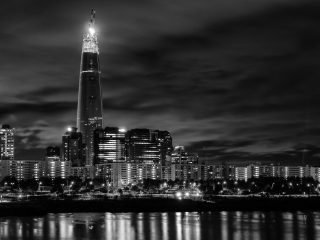 Located well within Seoul’s city limits, the rugged scenery of craggy peaks, deep granite gorges and cascading waterfalls might as well be in the mountain wildernesses of eastern Korea – Gangnam it most certainly ain’t. If you’re looking for something not especially taxing, the hike from the Samcheonsa Valley to the Jingwansa Valley is fairly simple, and not only is the wild scenery you pass breathtaking but you’ll get some gorgeous views of the park’s main peaks, too. You won’t be able to actually enter the Jingwansa Valley – it’s an off-limits protected zone until 2030 – but you’ll be able to get a good look at it along the way. SEE> The rock-carved Buddha at Samcheonsa Temple dates from the early Goryeo era and is a government-designated treasure. EAT> At the start of the trail to Samcheonsa you’ll find Cheongsoljip (T. 02-381-3000), a humble shack that does some mean Korean and duck soups and stews. GO> From Exit 3 of Bulgwang Station (Line 3), take bus No. 7211 and get off at Hana High School. The imposing giant that overlooks Seoul from the south, Mt. Gwanaksan is blessed with dramatic rock peaks that offer stunning views of the city. 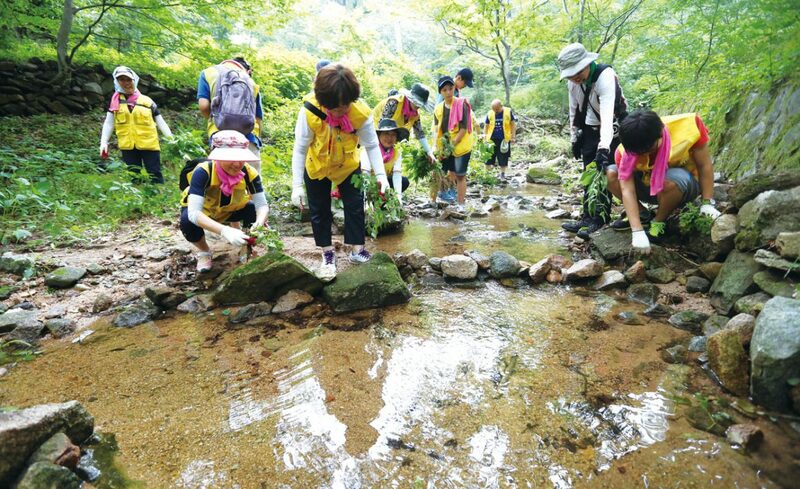 Hidden in the forests of its lower reaches, however, is a refreshing valley stream that’s also one of the few streams in Seoul you’re welcomed – nay, encouraged – to play in. At 30-40 cm deep, you won’t be doing much swimming, but it’s perfect for small children to splash around in (or adult children, for that matter). Specialists keep the water quality up to industry standards, and there are staff and rescue personnel on hand to keep everybody safe. Just above the bathing area there are a couple of gardens and a hiking path that will take you up the mountain itself. SEE> Perched on a cliff at the top of the mountain is the small Buddhist hermitage of Yeonjudae. While the hermitage itself it for devotees only, there’s an observation deck near the weather station at the peak with fine views of it. EAT> Near Exit 3 of Sillim Station (Line 2) are two complexes – Yangji Minsok Sundae Town and Wonjo Minsok Sundae Town– dedicated Korean sausages, or sundae. Go with the pan-fried sundae, or sundae bokkeum – cheap, filling, and oh-so-good. GO> From Exit 3 of Seoul National University Station (Line 2), take a bus to the entrance of Seoul National University and get off there. Don’t have the time or inclination to venture down to the legendarily crowded Korean Riviera of Haeundae in Busan? Don’t burn your bathing suit just yet  Seoul has plenty of good places to take a dip. 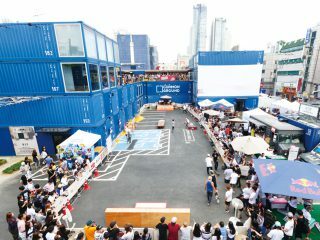 In Itaewon, the rooftop pool of the Hamilton Hotel (T. 02-3786-6247) is a popular party destination, with a DJ pumping out dance tunes and views over the neighborhood that are worth the KRW 15,000 price of admission. The W Seoul-Walkerhill (T. 02-465-2222) and Sheraton Grande Walkerhill (T. 02-2022-0000), meanwhile, have a great outdoor pool/waterpark that is open to the paying public. Like the Hamilton, it can be a wild and crazy place on the weekend, but it’s got waterslides and other features for the kids, too. 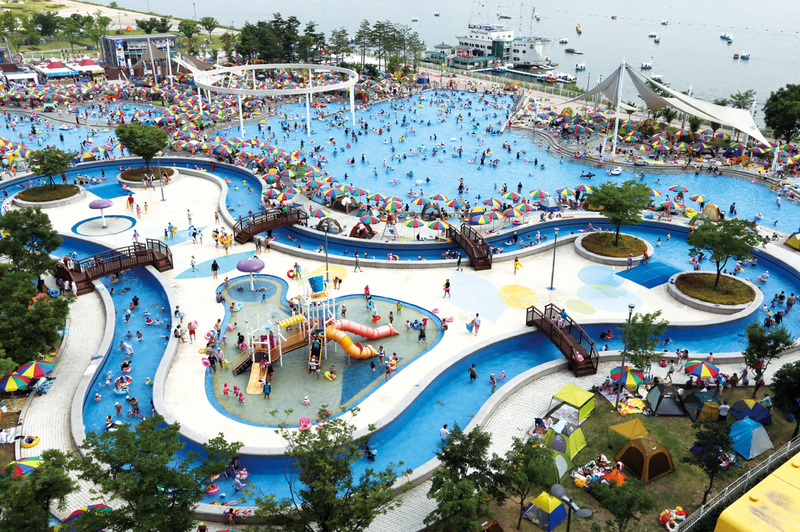 There are also seven public pools (hangang.seoul.go.kr) along the Hangang River, including popular ones in Yeouido Park and near the Cheongdam Bridge in Ttukseom.